Going into wardrobe styling I want to be able to take on all kinds of styles and themes. It seem like my strong points are doing more classy looks and your all American teenagers. With this photo shoot I was wanting go for a more edgy look. 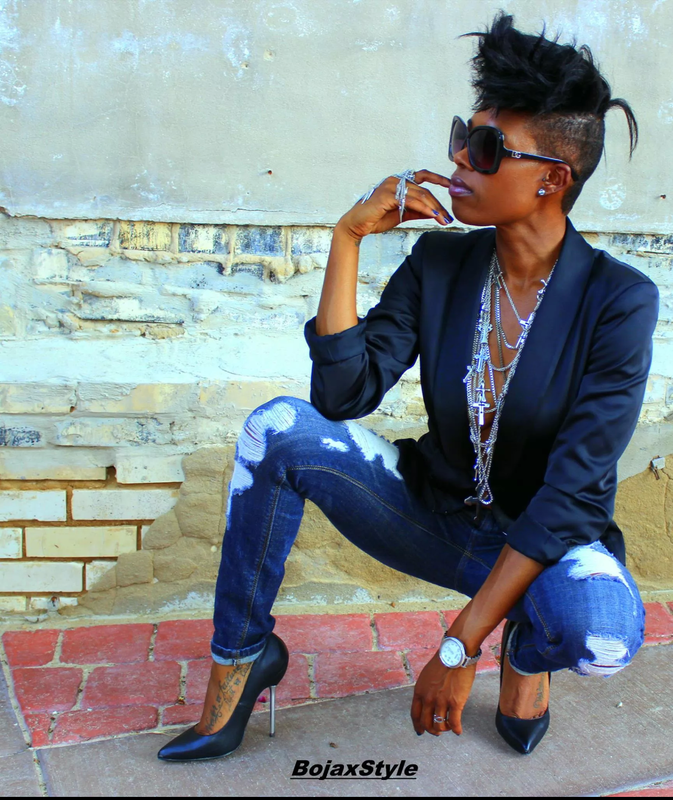 My model Whitney had the perfect hairstyle, Latisha from L’Miche Boutique supplied me with an awesome neck piece, and Bojack gave me made my vision into reality with his camera lens. It’s hard for me to lose that classy touch, so I just had to have a blazer. I had Whitney to go bra-less along with this cross statement necklace to give that bad girl vibe. I have more photo shoots coming up so I have no choice to get better right! J I do believe in challenging yourself to produce growth. It’s not easy putting yourself out there as an “artisit”, and sharing your ideas with others, but I believe that hard work pays off and I’m ready to see where this stylist life will take me! When you make purchases online, you are suppose to be confident that the item that you’re buying is going to be the one that shows up at your doorstep. 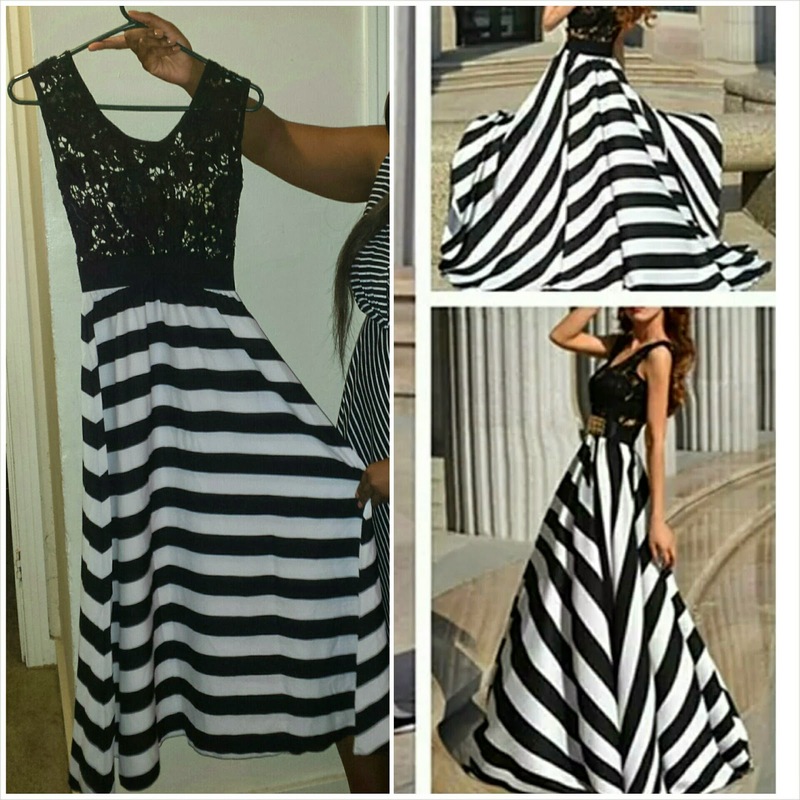 I just had a horrible experience with an online boutique called Sammydress.com! 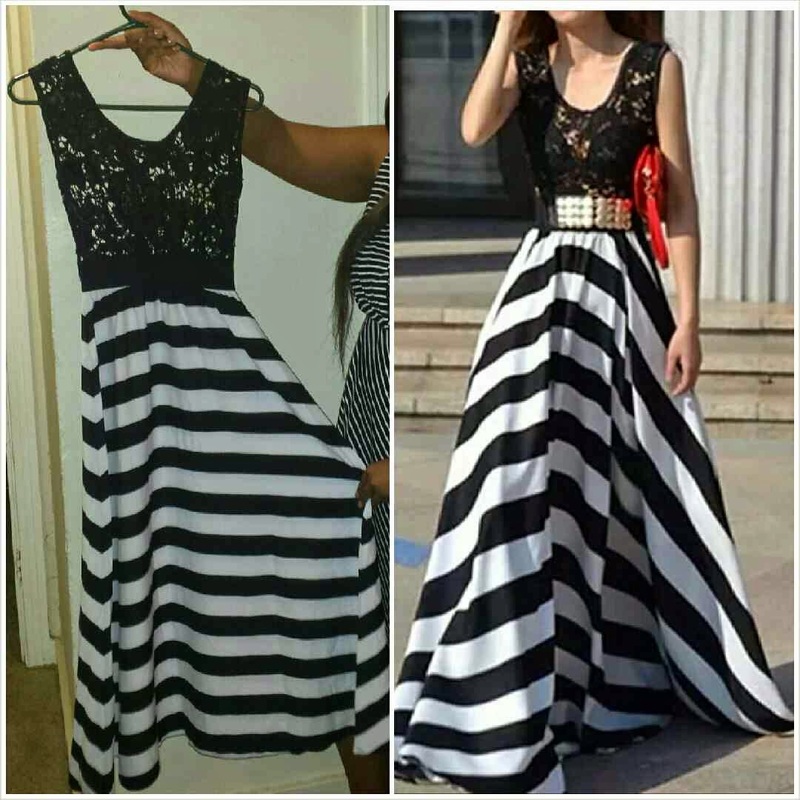 I thought that I was purchasing this gorgeous black and white maxi dress, but it turned out to be the perfect dress for a toddler! I was beyond disappointed. I should have known that it was too good to be true, and that I was going to get a beautiful flowing maxi dress for ONLY $13.00!! · Check for reviews, especially if they are a new business or if you have never heard of the company before. · Check if the online store as social media accounts. The most honest people are on social media and will comment under pictures to let others know if they liked their products or not. · Check the sizing charts. If the site does not have a sizing chart then you should be able to contact the person in charge to see if items are true to size. · Be sure to read their policy on returns. 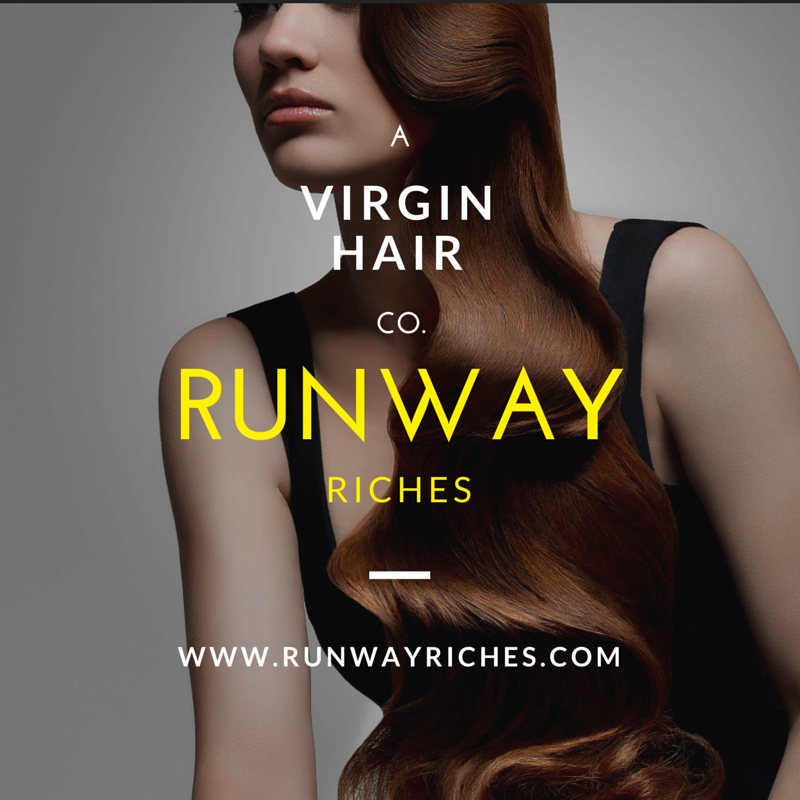 Have you had a bad experience with an online boutique? !